One of the main reasons many people put off making a will is that they have to chose an executor. Sure lots just do not want to think about wills and what this means. Some just do not even care, they are going to be gone anyway. Consumers who care about their families and want to make sure that everything is looked after will have a will. They will carefully pick an executor as well. For some picking an executor may be difficult. Although the majority of people will select a younger family member who will meet whatever criteria they may have. The most important thing is to have a will and select an executor. Otherwise the government will step in and do it for you. Someone You Can Trust – above all do you trust the person to do the right thing and carry out your wishes as indicated in the will. Will they be honest with your heirs? Close Family Member (s) – this is the most common choice for executor and often will be shared between several. Will they work well together and will they treat other members of the family in a fair manner. 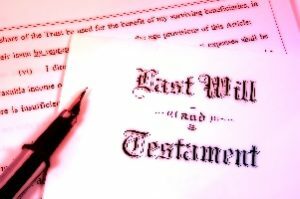 Recipient of your estate – if there is only one recipient of the estate, you may as well make that person the executor of the will. As long as they are adults then there should be no problem if they carry out their duties properly. Proximity to your Home – an executor who does not live close to your home may have to incur some costs traveling back and forth to your home to make arrangements. These costs and possibly their time as well would be charged to the estate prior to distributing the estate. Complex estates with property, investments etc may require specific expertise to manage and distribute. This expertise can be hired by the executor, however they should have some idea of what to do and what makes sense. Value of the Estate – probate may be required and a lawyer will need to file probate with the courts in any case for large estates. Large estates with a lot of investments may require someone who has the time to manage them until dissolution. Legal issues of your Estate – if the will is contested, if their are lawsuits against the estate of the deceased etc, then someone who is familiar with these issues should be considered. Probate requirements – small estates typically do not require probate although it does depend on where you live and the local laws governing probate. Can your executor deal with probate with the help of a lawyer? Other – There may be other concerns that are personal in nature. Often relationships affect decisions about who will be executor as well. Make the best decision for your situation and family. Discuss your request with the person or person you chose to ensure that they are comfortable with being executor and know in general terms where to find everything they will need.